Green man Gourmet in Avondale is Offering my Desserts! My Gluten, Soy and Lactose Free Desserts debuted in Green Man Gourmet this week! Almond Berry Tarts – Soft and buttery on the inside, crisp on the outside, these tarts are made with almond meal, real butter, and fresh blueberries. 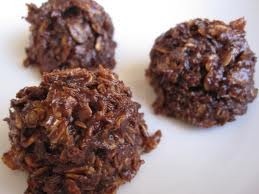 Millie’s Chocolate Almond Macaroons- These chocolate and coconut delights have remained my customers favorite since I first made them. They have a hint of cinnamon.